Jennifer Larson is the mother of 16 year old with regressive autism, and the President of the Canary Party. She is a graduate of the University of Minnesota with degrees in marketing, psychology and speech communication. 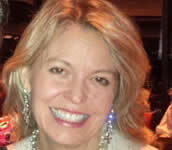 Jennifer is the owner and CEO Vibrant Technologies, incorporated 1998 and of St. Croix Solutions incorporated in 2004. She is also the owner, founder and CEO of the Holland Autism Center and Clinic, the Founding Board Chair of Children with Autism Deserve Education (CADE), a co-founder of the Vaccine Safety Council of Minnesota, and a member of the Minnesota Autism Advocacy Coalition. Jennifer has been honored with several business and media awards during her career.